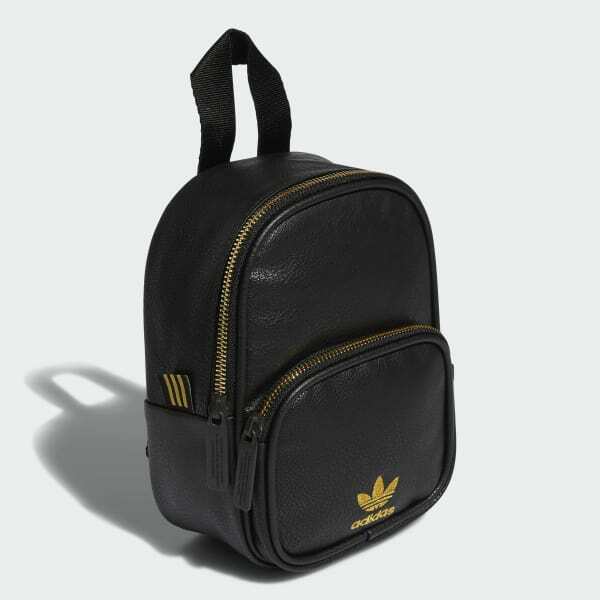 A gold-stitched Trefoil logo adorns this mini pack with a pebbled texture. 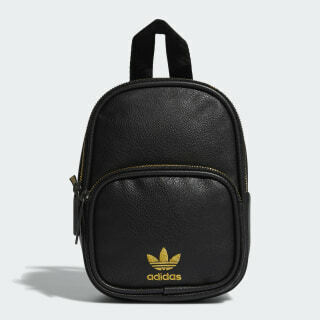 Carry your essentials in classic adidas style. This mini backpack can hold your phone, wallet and sunglasses. The main compartment comes with a mesh pocket and key fob to keep things organised. The soft faux leather is stamped to give a pebbled texture.